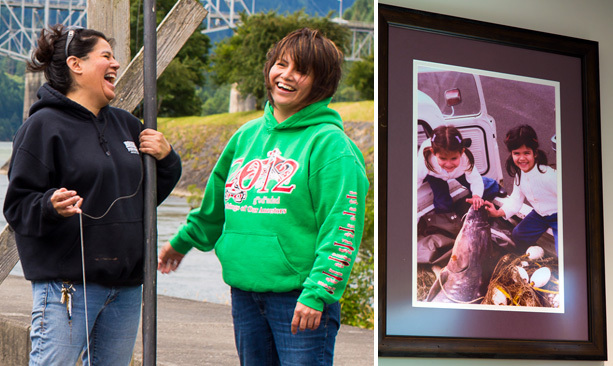 The two women grew up fishing on the river and represent the third generation in this Native fishing family. Most of the fish sold at Brigham Fish Market was caught by a member of the family. Many relatives pitch in when it comes to fishing. 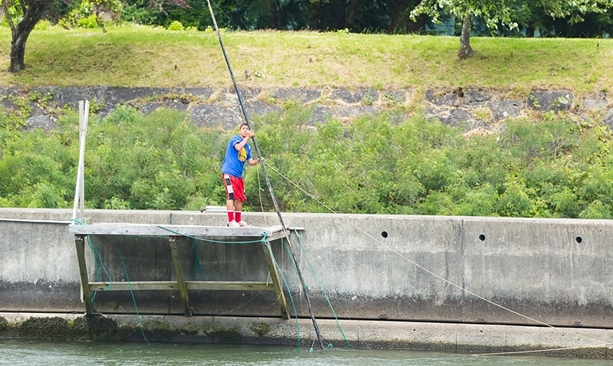 They drop dip nets from historic platforms that were built by the sisters' grandfather. Terrie Brigham nods toward a collection of black-and-white photographs carefully hung on the walls of the Brigham Fish Market: There’s a shot of her maternal grandfather, dip net in hand, poised over a torrent of white water; another of her father, uncle and paternal grandfather posing with the day’s catch of five-foot sturgeon; a wide shot of the Columbia River’s famed Celilo Falls, where her grandfather fished before the Dalles Dam was built. And on another wall, there is a newer, color photograph of two pigtailed little girls, beaming amid a pile of nets, and a sturgeon that dwarfs both of them. “Yes, that’s my sister and me,” says Terrie, flashing the same easy smile and laughing eyes captured in the photo. Now Terrie and her sister, Kim Brigham-Campbell, members of the Confederated Tribes of the Umatilla Indian Reservation, are sharing their generations-old family tradition with the public. 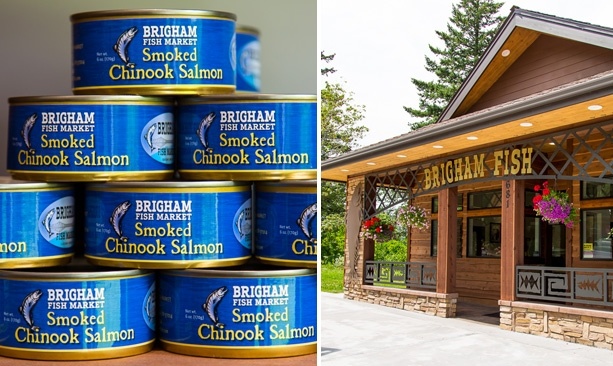 In 2014 they opened the Brigham Fish Market in Cascade Locks, their riverfront hometown in the Columbia River Gorge, 40 miles east of Portland. 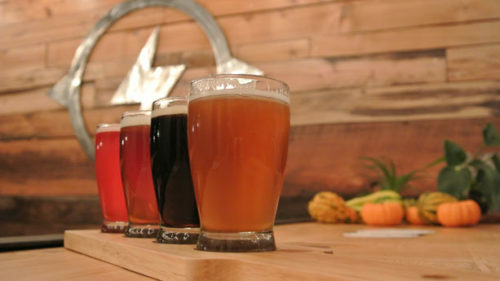 The market specializes in wild, native-caught fish from the Columbia River: spring salmon and sturgeon in spring; summer chinook, sockeye and steelhead in summer; and fall chinook, coho and steelhead in autumn. The Brigham family — often Kim and Terrie — catches all of it. On any given day, you can see the family’s work, displayed on a thick bed of crushed ice in the market’s long glass display case. Your eye immediately goes to the trays of fat spring Chinook fillets, so bright and shiny they seem to glow. There’s smoked chinook too — right out of the smoker in back of the store — along with sturgeon fillets, smoked sturgeon, steelhead fillets, salmon chowder and tubs of savory homemade salmon dip. To provide customers with plenty of variety, the market also carries fresh Northwest seafood like halibut and scallops from regional sources. 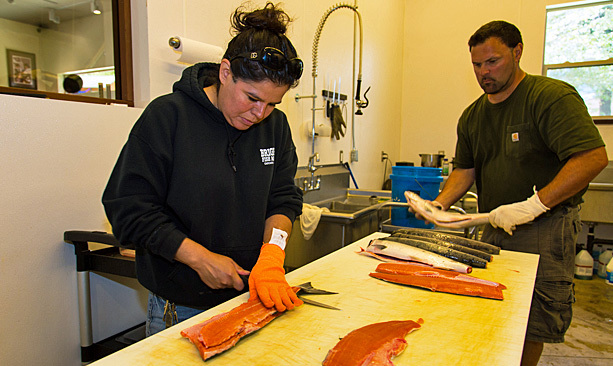 Terrie Brigham displays a freshly caught sockeye salmon. Cleaned, filleted and iced on site, this fish couldn't get much fresher. The market specializes in wild, native-caught fish from the Columbia River: spring salmon and sturgeon in spring; summer chinook, sockeye and steelhead in summer; and fall chinook, coho and steelhead in autumn. Brigham Fish Market sells smoked salmon too. For the city of Cascade Locks, the market is a beloved attraction on Wa Na Pa Street. The story is a lot of hard work. The sisters, their spouses, their extended families and, increasingly, their kids do it all: catching, cleaning, filleting, smoking, selling to four area restaurants, working with a cannery and dealing with the day-to-day operation of the retail store. 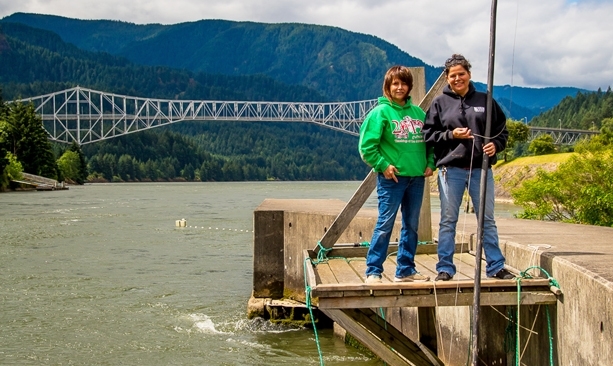 The family already had a loyal clientele, “regulars who have come to us for years,” explains Kim, who would buy fish right off the dip-netting scaffolds in Cascade Locks. 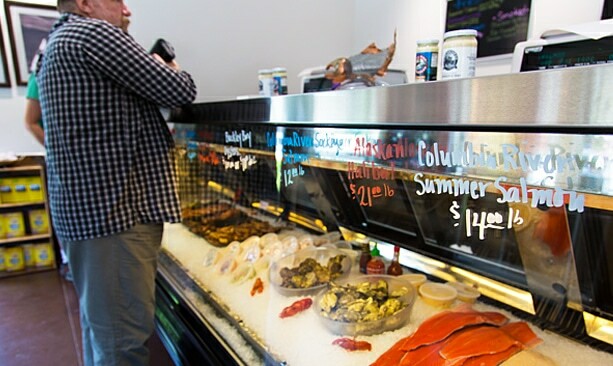 With the centralized market, they can offer customers more choices and services, selling fillets as well as whole fish. They’ll vacuum seal any selection, or even season it to taste and wrap it in foil. “Barbecue ready!” says Terrie. 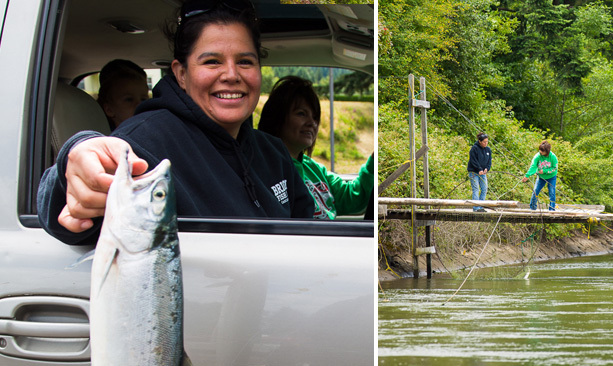 “The best part is being able to offer a very fresh salmon and to know where it came from,” says Kim, who owns the business with her husband, James. “We catch fish daily, bring it to the market, fillet it and offer it to our customers.” The family had talked about a retail market for a couple of years, she explains, before she and James decided to take the plunge, cashing in their retirement savings, and securing regional economic-development loans from the Oregon Investment Board and the Mid-Columbia Economic Development District. 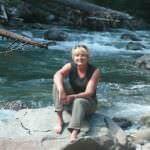 Depending on the season and conditions, the day’s catch may come from Kim dip-netting from one of the family scaffolds or from Terrie out on the Columbia, harvesting by line or gill net. The day starts as early as 5 a.m., readying gear and launching the boat nearby or, in winter months, traveling as much as 120 miles east to long-standing family fishing sites near Boardman. 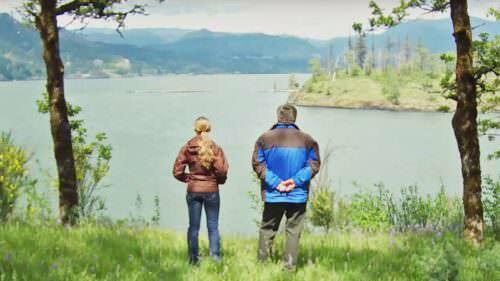 Terrie often fishes with her father, Robert Brigham. The Brighams’ new business in downtown Cascade Locks means a lot to the community and tribal members, too. For the city of Cascade Locks, the new 1,900-square-foot facility brings a welcome economic boost and an attractive addition to Wa Na Pa Street, the main thoroughfare. 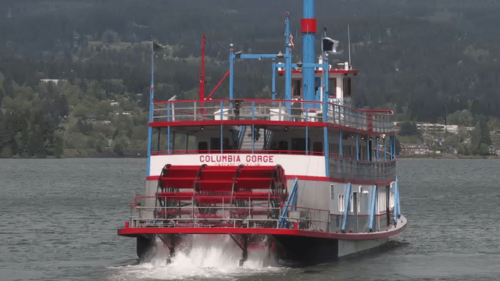 Steel fish sculptures and overflowing flower baskets adorn the market’s stone-and-wood facade, and a patio area invites customers to linger and enjoy lunch with a view of the Columbia and the fir-fringed Gorge. 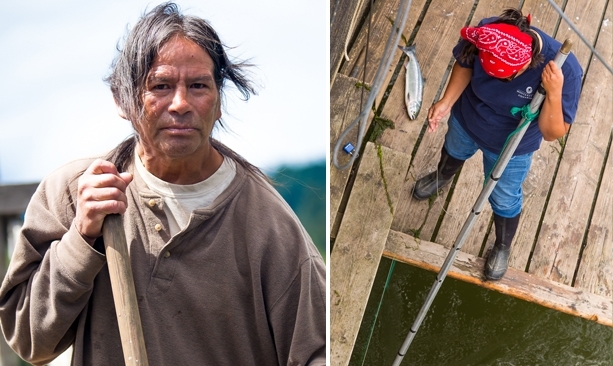 For the Confederated Tribes of the Umatilla, the market carries forth the honored place salmon has in the lives of the people of the Columbia River. On June 21, tribal members gathered for a blessing of the new business with prayer, song and drums. “I don’t know if the fact the store is native owned is important to our customers,” remarks Terrie, “but it’s important to us.” As hard-working women shouldering the family legacy, Kim and Terrie look every bit as proud and happy as those pigtailed little girls.